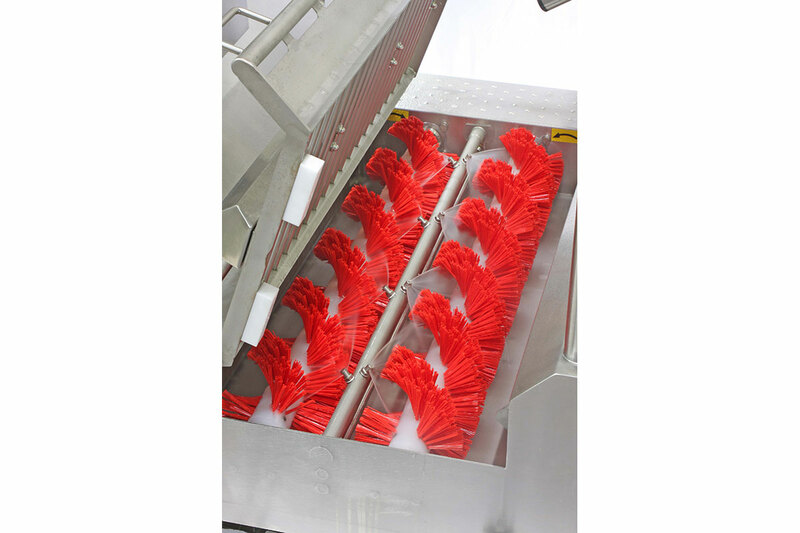 Self-cleaning of brushes | Sulbana AG – Käserei-, Hygiene- und Verpackungstechnik. 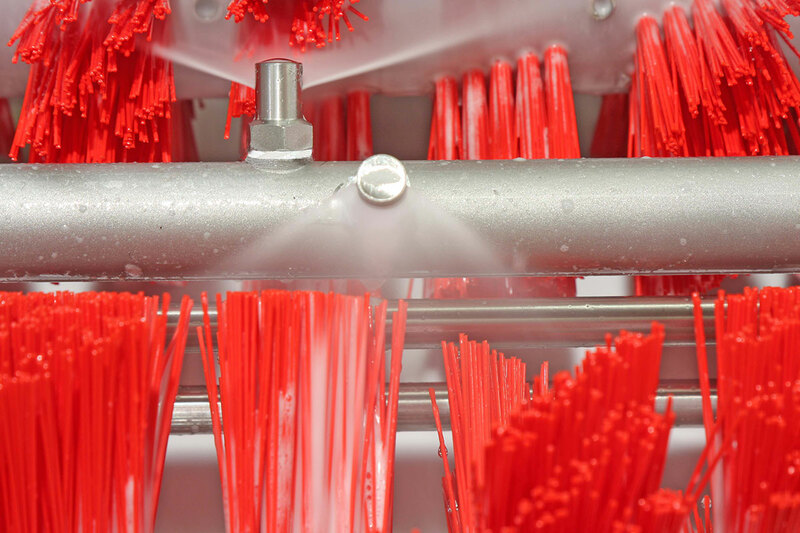 The integration of a foam cleaning system allows intermediate cleaning of the brushes inside the machine. The integrated foam concentrate and cleaning agent system reaches everywhere via manifold nozzles and can be operated with all common additives. We thus achieve optimum brush hygiene. Available for the STAR CLEAN series, see Hygiene stations.